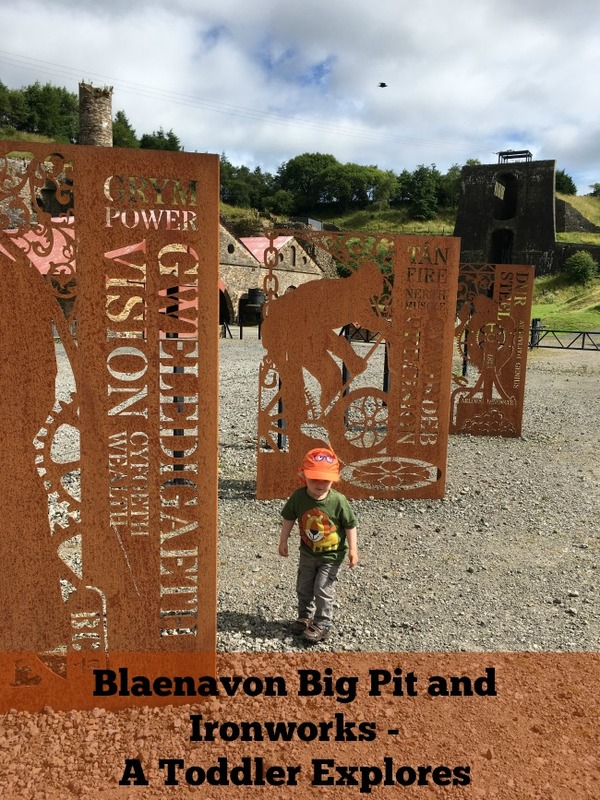 Blaenavon is an industrial town in South Wales designated a World Heritage Site by UNESCO in 2000. 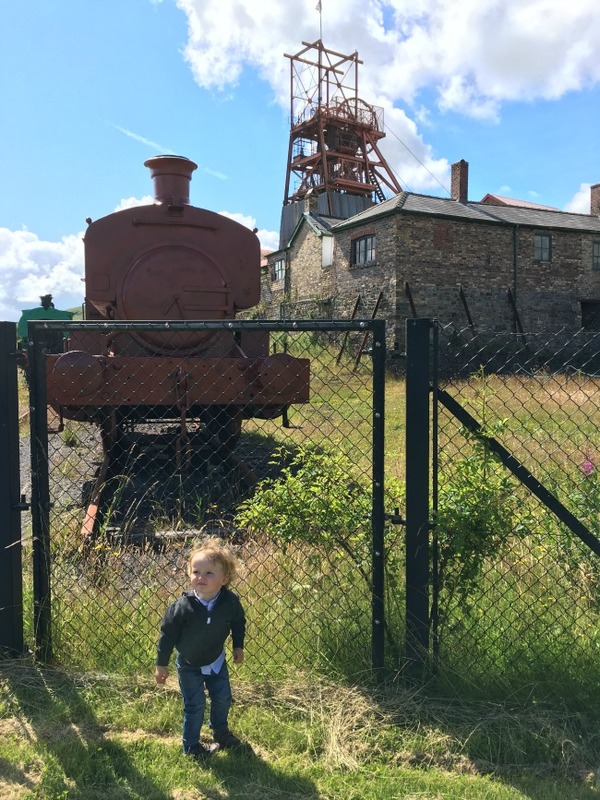 We had decided to visit both the Ironworks and Big Pit, the National Coal Museum on the same day as they are less than a mile apart. Our day didn't start well as Bear was full of cold but it was a lovely day and only about 40 mins drive from Cardiff. Using the postcode on the official website our sat nav directed us up a dead end road so we had to navigate by the brown signs. These pointed to a car park that had a huge piece of red metal work so we were sure that was the correct place, but it wasn't. Bear had got out the car and was reluctant to get back in but I promised a very short ride and off we went up the hill. The Ironworks were visible on our right and the free car park on our left. 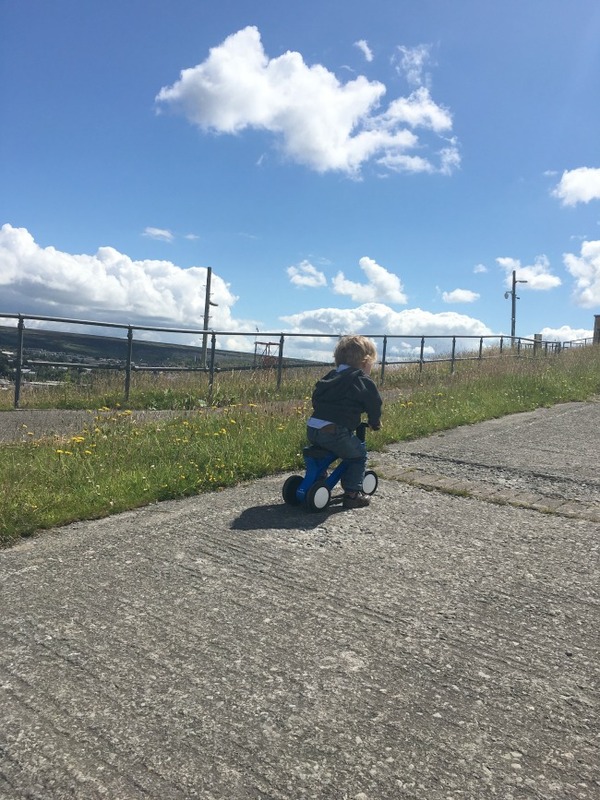 Bear got out, we sorted the buggy, got his bike and headed for the Ironworks. 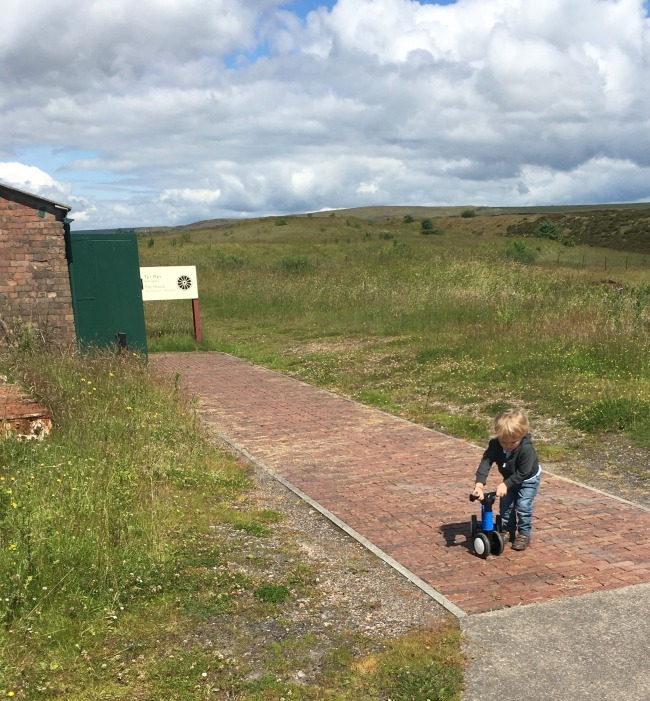 Bear was happy riding his bike but as we approached the gate we were met by a guide who informed us the Ironworks were closed due to a break-in. How despicable that anyone would rob a free attraction that is also part of their past? Off we went back to the car with a very fed up Bear and put everything back into the car and drove the short distance to Big Pit. 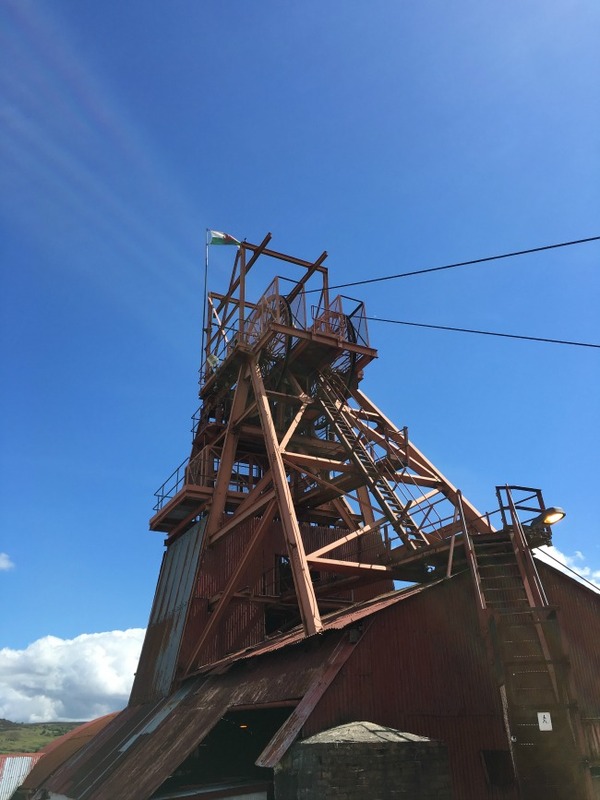 Big Pit is free to enter as are all museums in Wales but there is a charge of £3 for all day parking. The site is fairly buggy friendly but we managed to go the wrong way and found ourselves at the top of lots of steps. Big Pit is a real coal mine and if you are over a certain height (I think it was a meter) you can put on a helmet with a lamp and go down into the mine. Many years ago we did this with our children and it was fantastic, even for a height fearing, claustrophobic like me. This time Bear was too little so we gave it a miss. 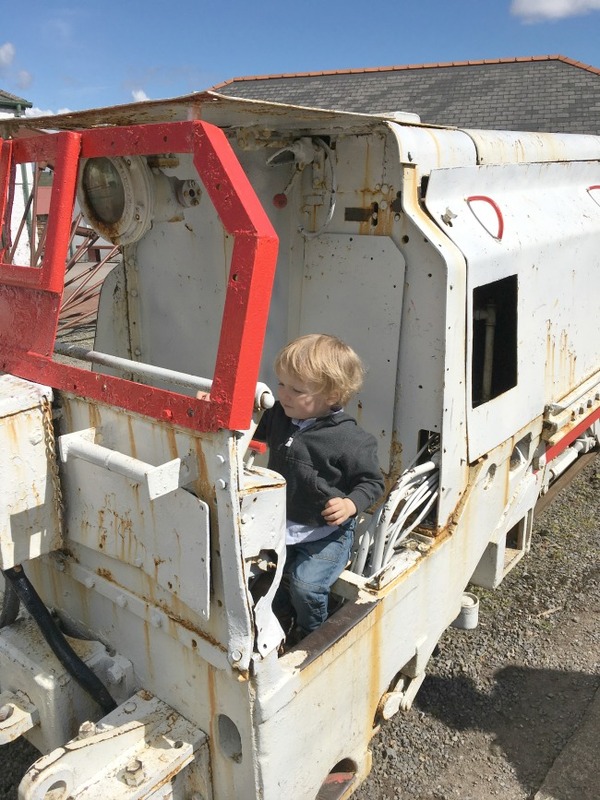 They do have a simulator for those who cannot or prefer not to go down the mine. 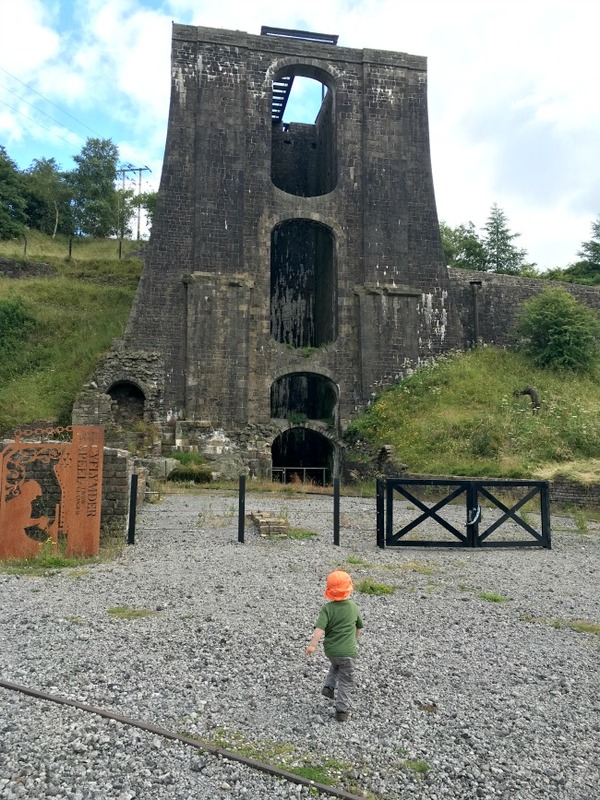 We walked past the children waiting to go down the mine and watched the lift rise and the children get in. 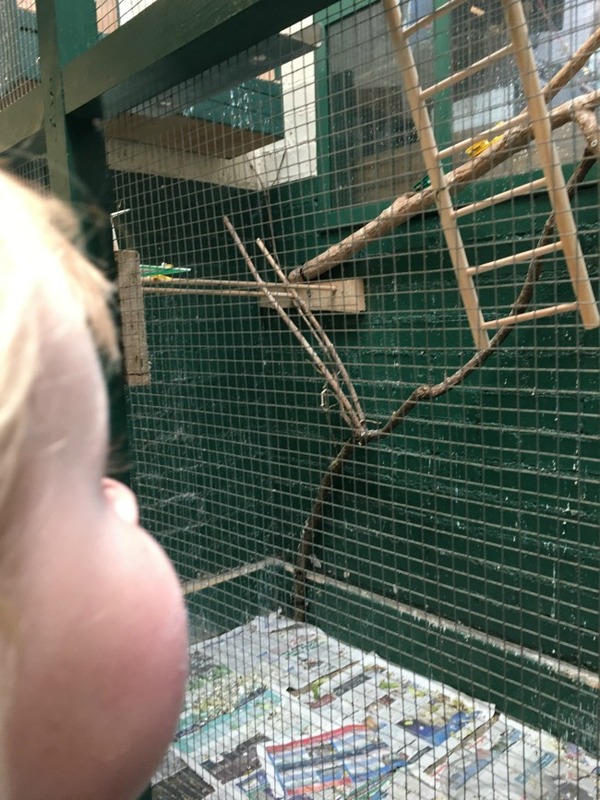 Then we went to see the canaries. Bear loved watching them especially as one had the end of a paper roll and was pulling and dancing with it. Outside was a train that had movable levers and Bear really liked this too. Then we headed up the hill. Bear was being contrary now. He's always so good but today he wasn't happy so we gave the simulator ride a miss and headed for the picnic tables to have a coffee. The views from Big Pit are amazing. The staff are friendly and really helpful, many are ex miners and are more than happy to explain anything at all. 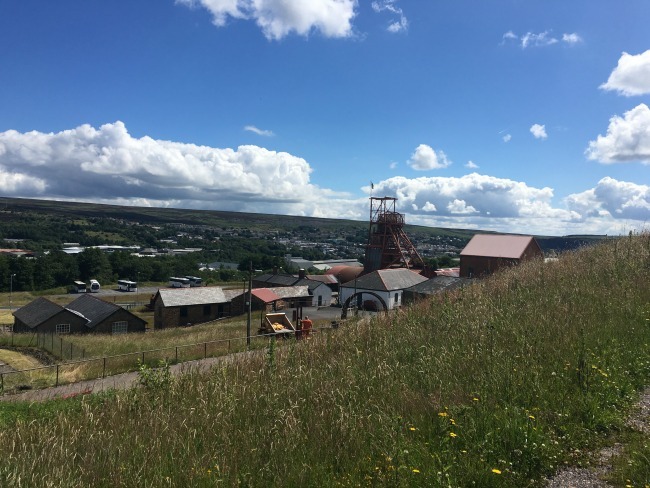 We cut our visit short and really didn't do justice to Big Pit it's a really fantastic place, full of well behaved school children on trips and so much to see. 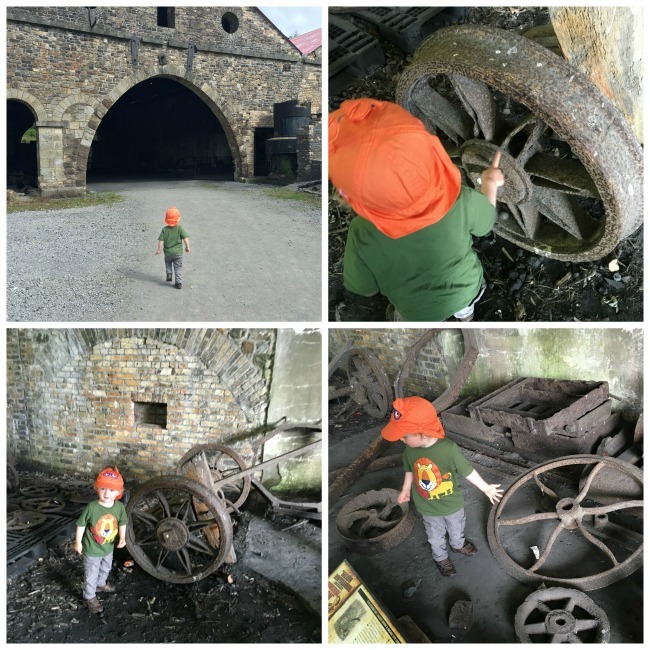 A few days later we went back to the Ironworks. It was a beautiful sunny day and we spent all morning there. We loved this place. The site is small but not very buggy friendly. Some of the paths are chunky stone so not easy to push. Bear tried to ride his bike but even he gave up. 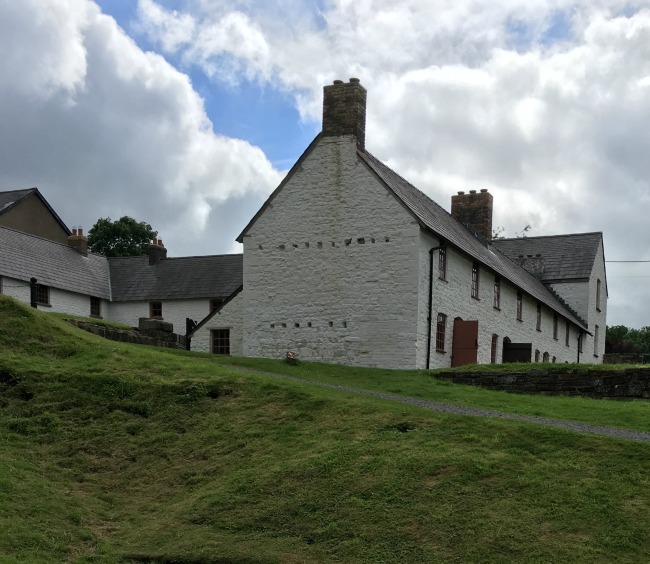 The site is free to enter and managed by CADW. 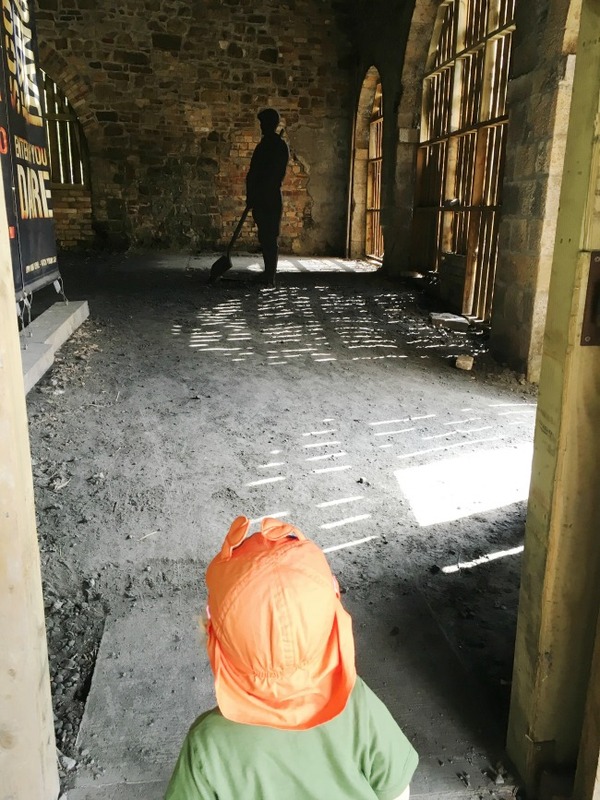 You may recognise it as it was the setting for the BBC TV series The Coal House. There are signs and boards everywhere telling of the history and explaining the process. 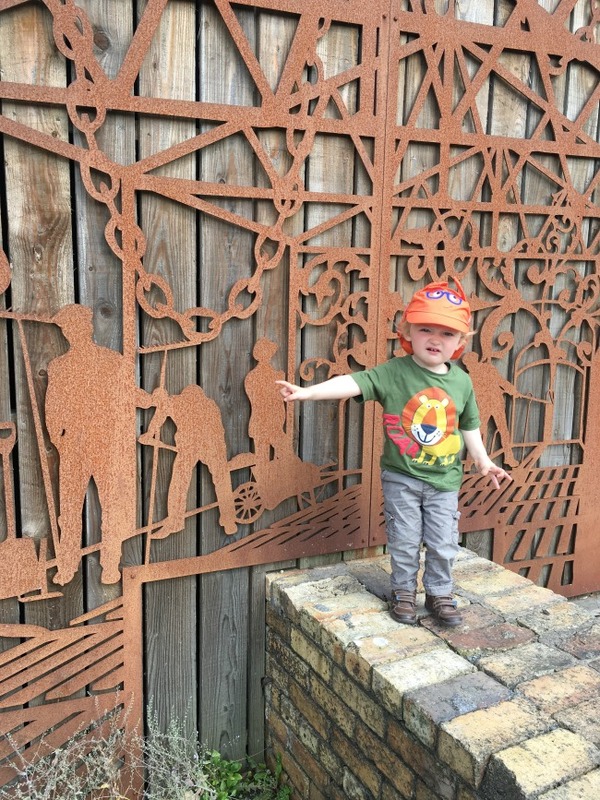 Bear loved the iron model of the site, it is beautifully crafted. 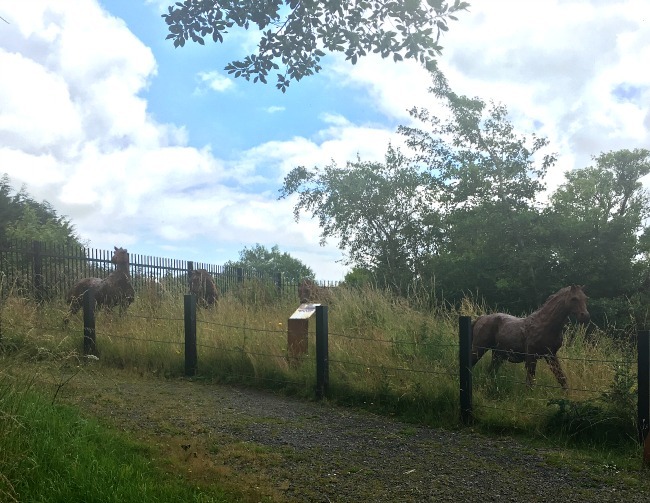 Throughout the site there are models and in the cottages there is a small museum. 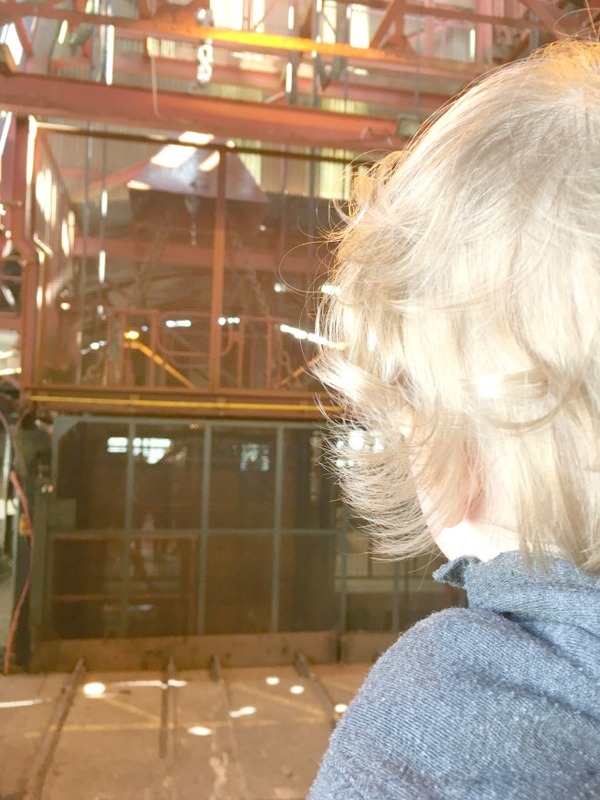 We went into the first big shed, a casting house. This is where they made the end products. Mostly wheels it seems. Next door is the furnace and on entry a VERY loud voice shouts in Welsh! Different people tell the story of their role in the iron making process, it is told in Welsh and English. 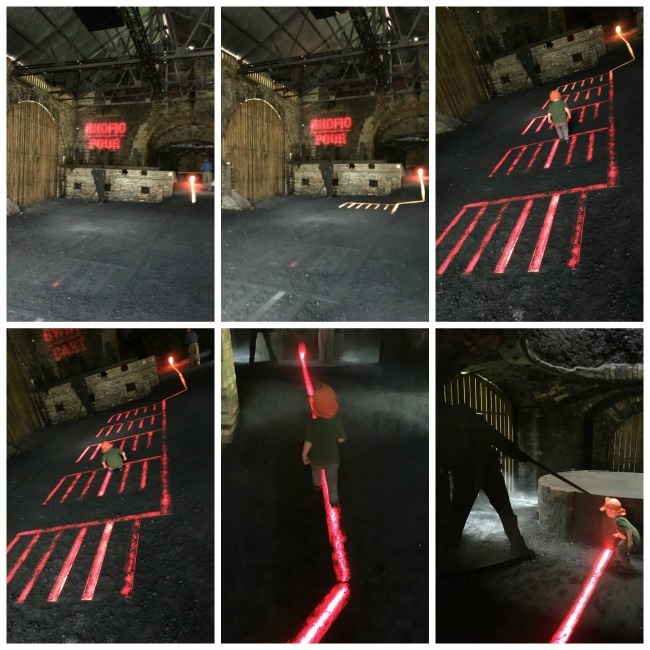 The highlight is the molten iron pouring from the furnace across the floor. It is a trick with lights but fantastic to watch. In the casting house Bear finds a wheel, and another wheel and more wheels. ...and is rewarded with lights representing the molten metal. 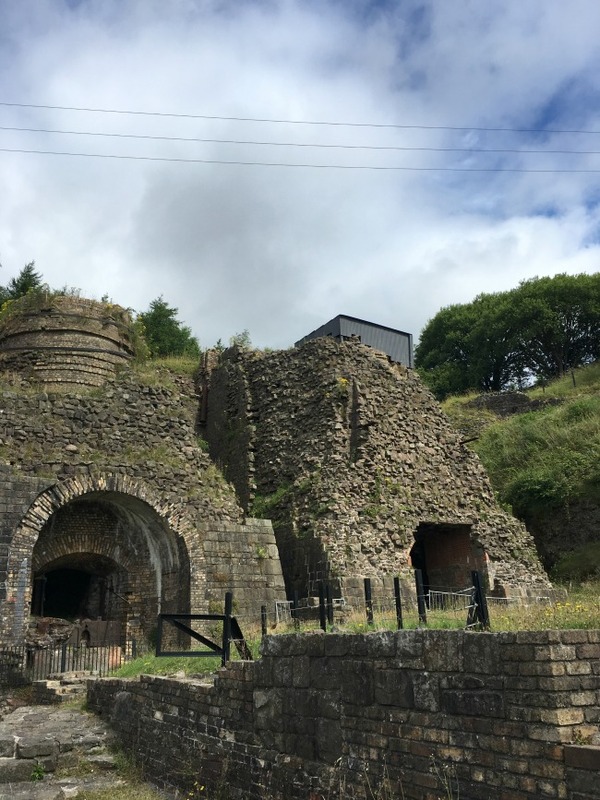 Remains of furnaces from 1780's & 1870's considered the best in the world. We then went outside past the balance tower. They used water power to lift raw materialds and finished goods from the bottom to the higher level. If you look at the top there is a metal grid. Walk to the top of the hill and you can cross the grid and look down, or if you are like me just admire the views from afar. From different points you can see Big Pit in the distance. 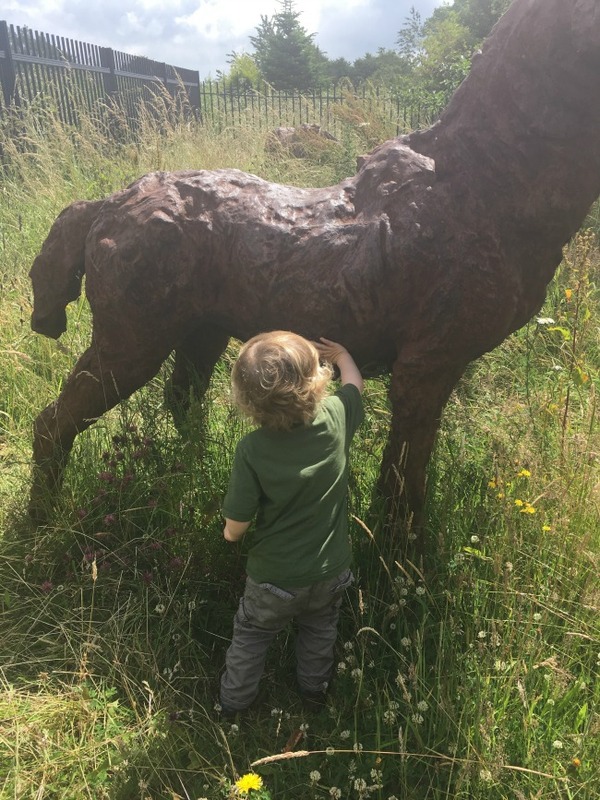 At the top of the hill were metal statues of the pit ponies. Bear liked these. On the hillside is a group of cottages. These are furnished as they would have been when ironworkers lived in them from 1790 right through to 1967. They are very like those at St Fagans National History Museum. 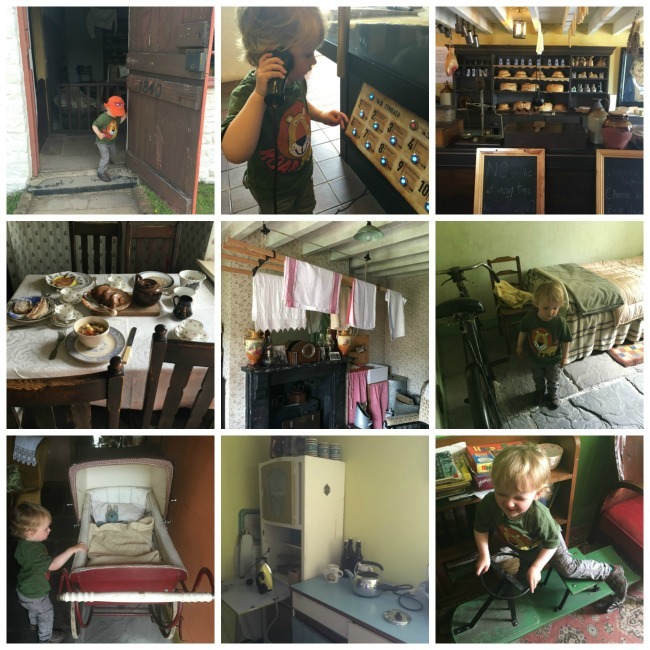 We loved both museums and would definitely recommend them. 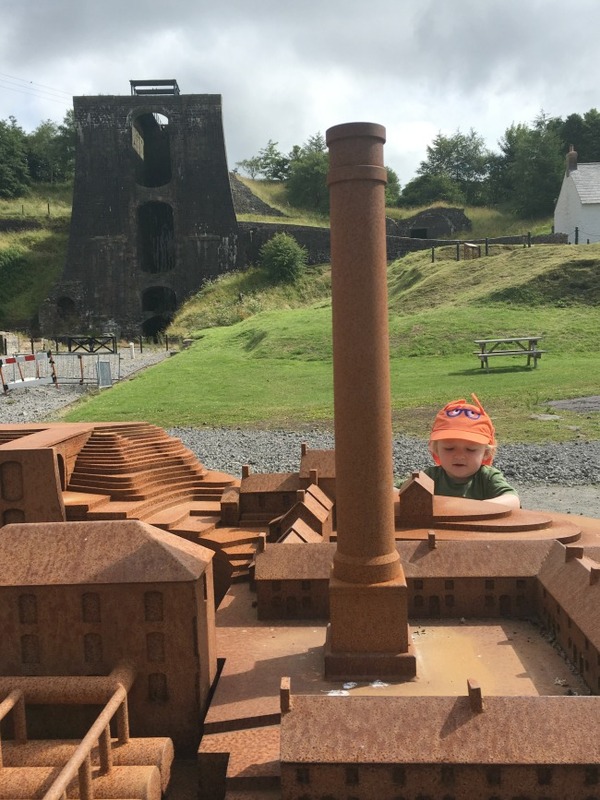 Bear thoroughly enjoyed the Ironworks and I am sure he would have loved Big Pit if he hadn't been poorly. 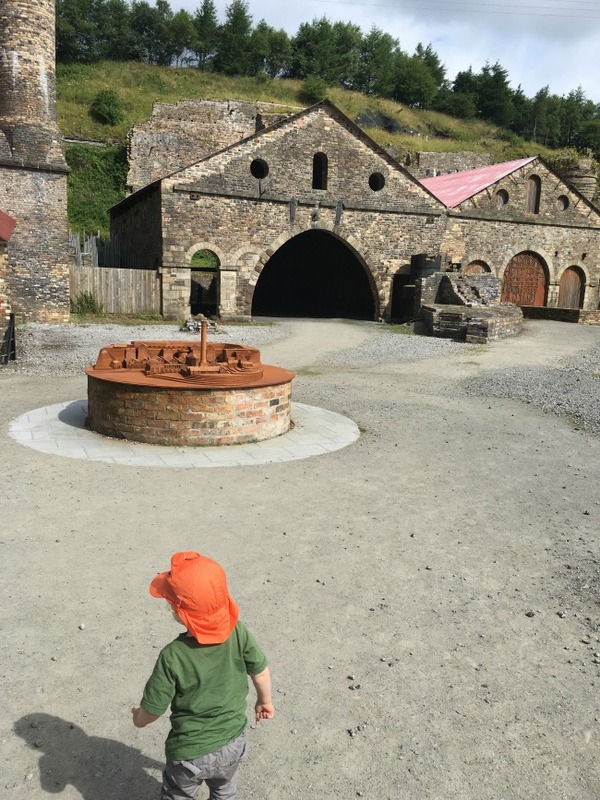 The Ironworks has a small shop and toilets in a porta-cabin but no baby change facilities. Big Pit has a shop, cafe and toilets with baby change. Both have outdoor picnic tables. Opening times vary according to season so do check their websites before travelling. 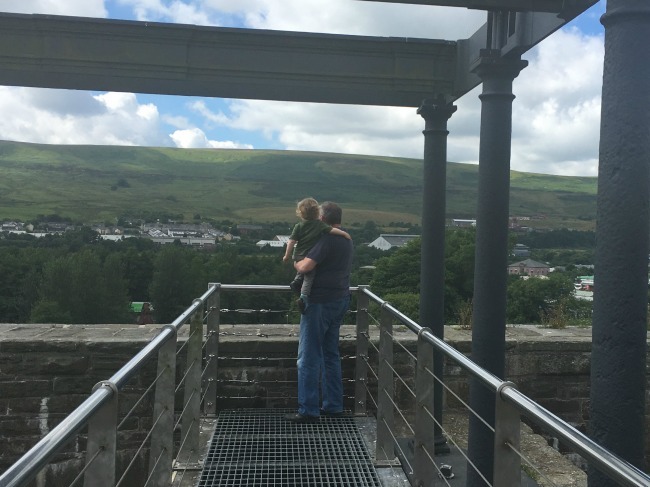 There is also a heritage railway line, the Pontypool and Blaenavon Railway, that is on our to do list. Have you been on the train?